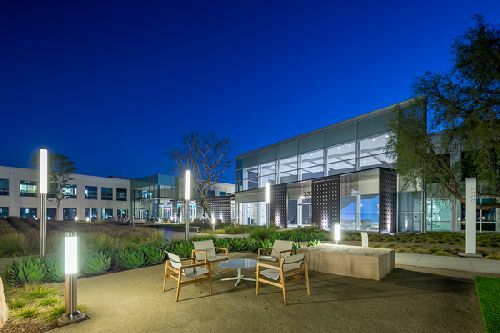 The Hive, a recently extensively repositioned three-building 181.8k sf, coastal creative office campus in Costa Mesa, was acquired by Invesco Real Estate. The transaction price was not given out, although industry sources have pegged the deal at around $84 mil ($462/sf). Originally developed in 2003, the property is situated on a 14.25-acre land parcel at 3333, 3335 and 3337 South Susan, east of Harbor Blvd and north of the 405 Fwy. The multi-tenant property is 82% occupied by five tenants. Just over three acres of land is being used as the Los Angeles Chargers practice field and is currently entitled for an additional 65k sf of commercial development. The Hive is situated adjacent to The Press OC, the former 25-acre LA Times site which will see a significant amount of office and retail redevelopment in the near future, further enhancing the surrounding location. The property is proximate to the 405 and 55 freeways and is just 10 minutes from John Wayne Airport and is 15 minutes from University of California, Irvine (UCI). The seller, a joint venture between Goldman Sachs and Steelwave, acquired the property in September 2015 and invested approximately $22 mil into transforming the project into a creative, Class A environment. The project features flexible and open floor plans, a new coffee bar adjacent to an outdoor tenant lounge area, state-of-the-art fitness facility with showers and lockers, a conference center and multiple open-air patios with community activities. In addition to the Chargers, tenants include Lazy Dog Café, Coding Dojo, Agility Fuel Solutions and Steelwave. NKF Co-Head of U.S. Capital Markets Kevin Shannon, Executive Managing Director Paul Jones, Managing Director Blake Bokosky, and Executive Managing Directors Ken White and Brunson Howard represented the seller in the deal. The buyer was self-represented.